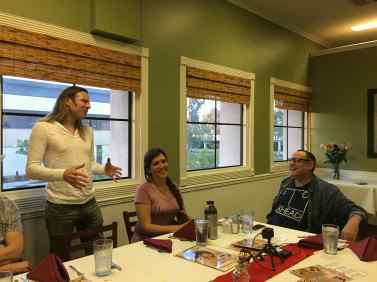 Gilad Atzmon was a guest speaker at a recent gathering of the Raelian Movement in Los Angeles where he spoke about Zionism and Jewish identity. Gilad has been a strong critic of the state of Israel and its policies towards Palestinians for a long time. Maitreya Rael made him an Honorary Guide for Humanity in 2009 after reading his essay “War on Terror Within: The End of Jewish History”. 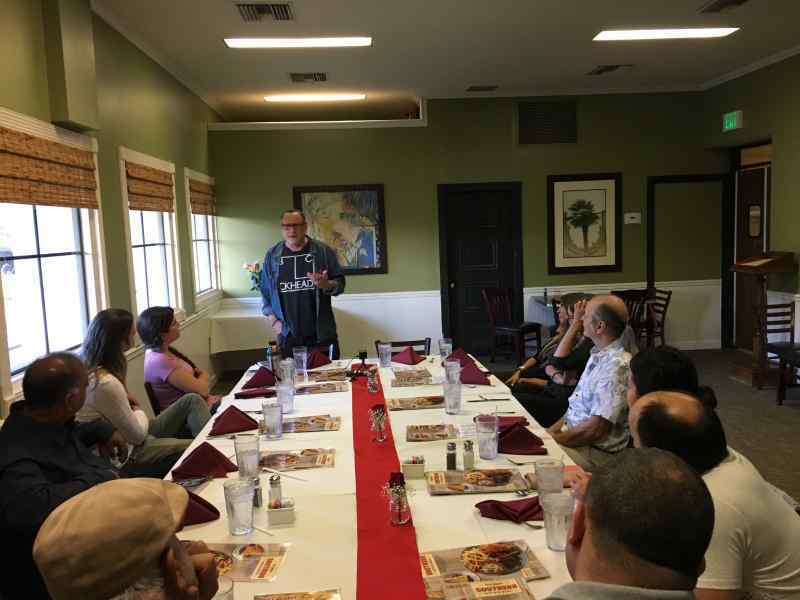 Gilad Atzmon addressing the audience. 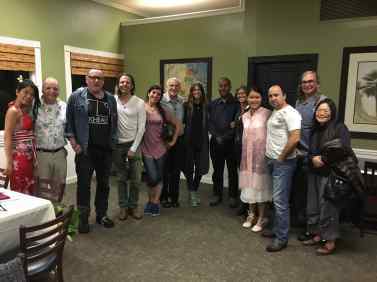 The gathering was attended by many Raelians of Middle Eastern descent including some who emigrated from Israel following Elohim's message urging real Jews to leave the land of Palestine as quickly as possible. Some of the attendees following the gathering.